Finance Ideas 4u: Where Should You Invest Your Money In 2017? Investing is always going to be a gamble, although some investment plans are certainly less risky than others. Many previous investments previously thought to be relatively stable, have been going out of fashion. As more and more people turn green, less are investing in oil, and recent political unpredictability has caused foreign currency to become a risky strategy. Here are some of the options that seem to be least risky in 2017. Property prices are still heading steadily upwards by and large. If you’ve got enough money to lay down a deposit, buying and renting is still a fairly safe option. You’re guaranteed more security if you rent through an agency, although you may have to pay added fees. There are many agencies that can provide all services from buying, selling and renting such as Bridgebury Real Estate that may be worth looking at to get an idea of budgeting costs. Generally it’s always safe to have a couple grand spare just in case you have to deal with maintenance costs or cover unpaid rent. Always research the area to get an idea of appreciation value and consider whether you can increase this further with renovations. Digital security is constantly being redeveloped and improved to counter constantly new hacking methods and viruses. This makes it a very lucrative investment strategy. Cloud-based security programmes are becoming a particularly popular choice, as hacks on small businesses are becoming more common and companies are hence looking for more secure security software. Sites such as AT Investments can provide more information for those interested. Facebook stocks have seen a steady incline in value. With no real competitors and worldwide internet use growing, investing in this medium seems like a stable route for years to come. Investing in social media startups is a very risky strategy so you’re best sticking with the giants. Renewable energy sources such as wind power and solar power are already starting to see a healthy return. Whilst the cost of setting up wind farms and solar farms is high, they require little maintenance afterwards. More and more people are turning to these sources and so the demand to build more is increasing. Minimum investments are usually around ten grand. Those with an interest in sustainable energy should definitely consider this strategy. Whilst the value of gold constantly fluctuates, it always returns to a steady incline, making it the go-to-choice for safe investors. 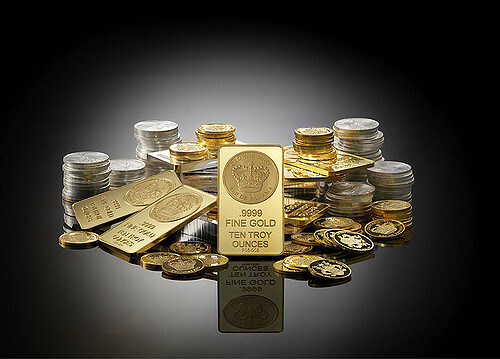 There are various ways to invest in gold from gold bars to ancient jewellery. It can be bought and sold via investment brokers, or from bullion dealers. Investing may require doing your homework first in order to get the best deal and the buying process can be quite complex so bear this in mind.